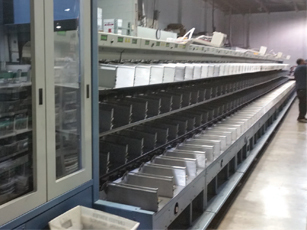 Outsource your mailroom operation to Post Masters to reduce labor costs and improve efficiency and quality. Post Masters will pick up, sort, track, and deliver your incoming mail, and we’ll take your outgoing mail to our facility to be metered, and then deliver it to the United States Postal System (USPS) that night. We’ll also track your packages to make sure they reach the intended customer. Letting us manage your mail also means Post Masters will monitor frequently changing postal regulations, saving you time and money and even have the capability to x-ray and inspect your incoming mail for potential threats. Post Masters will be happy to meet with you to develop a full understanding of your mailing/business needs, examine your mailing operation, and provide a detailed analysis of potential savings and efficiencies. Post Masters will come onsite and manage your existing equipment or we will install new equipment needed to ensure you are getting the quality of documents needed. We are not committed to a single manufacturer; we base our equipment selection solely on the needs of the customer. We can also set up a digital store front which allows your staff to place orders directly into the system without personal interaction. Your staff will be able to load a file directly in the store front software and see a PDF proof prior to being printed. Our goal is to make things easy for the customer.